A licensed dental hygienist is a health care professional, oral health educator and clinician who utilizes scientific knowledge and methods to provide preventative, educational and therapeutic services to support the control of oral diseases and the promotion of oral health. 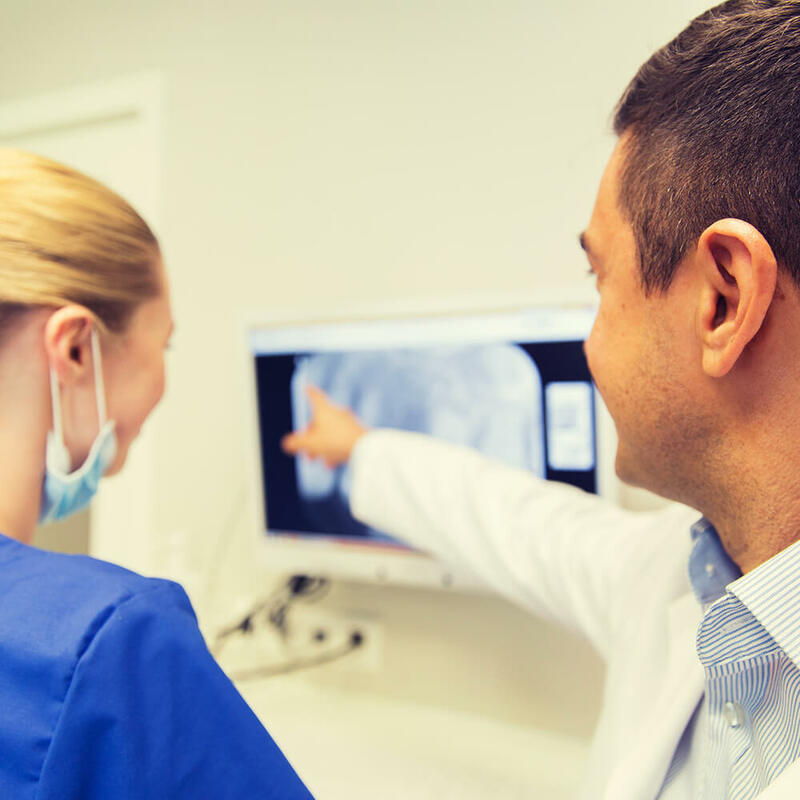 Under the supervision of a dentist, the hygienist records the patient’s dental history, charts the mouth for evaluation and diagnosis by the dentist, scales and polishes teeth, and functions as a dental health educator. 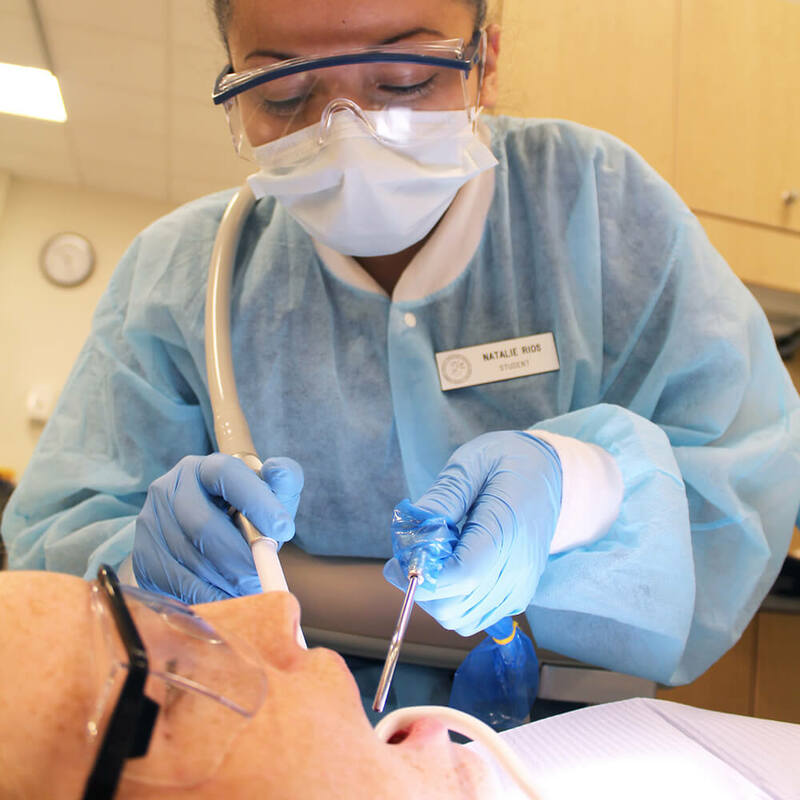 The Dental Hygiene program is a two-year, full-time, daytime program that prepares students to take national, regional and state licensure exams in dental hygiene. obtained from the appropriate credentialing body. To provide an entry-level dental hygiene education that will prepare the student for licensure and to function effectively in a dental hygiene setting. To maintain a dynamic dental hygiene education that recognizes the complexity of a scientific and technologically oriented society. To provide quality, patient-centered dental hygiene care to all members of the community. Integrate and apply basic science, dental science and dental hygiene knowledge and skills. Recognize sources of information and information gathering techniques that enable them to seek and obtain information when needed. 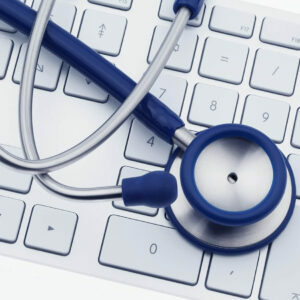 Apply computer skills in order to find information, take intra- oral photographs, take digital radiographs, obtain periodontal charting information, and manage patient records. Provide humane and compassionate care to all patients without discrimination as outlined in the Patient’s Bill of Rights. Provide dental hygiene care utilizing the dental hygiene process of assessment, dental hygiene diagnosis, treatment planning, implementation and evaluation. Present preventative educational programs in various settings. Minimum cumulative grade point average of 3.2 for college transfer applicants. It is recommended that the applicant take as many core courses as possible included in the hygiene curriculum prior to applying. SAT scores of Math 500, Reading 500 (minimum). Applicants who have college experience do not have to submit SAT scores. There will be an academic review of transcripts by the director of dental programs. Competitive candidates will meet with the director of dental programs. Candidates will receive written notification of the admissions committee decision. A physical exam, various immunizations, and proof of health insurance will be required prior to the beginning of class. 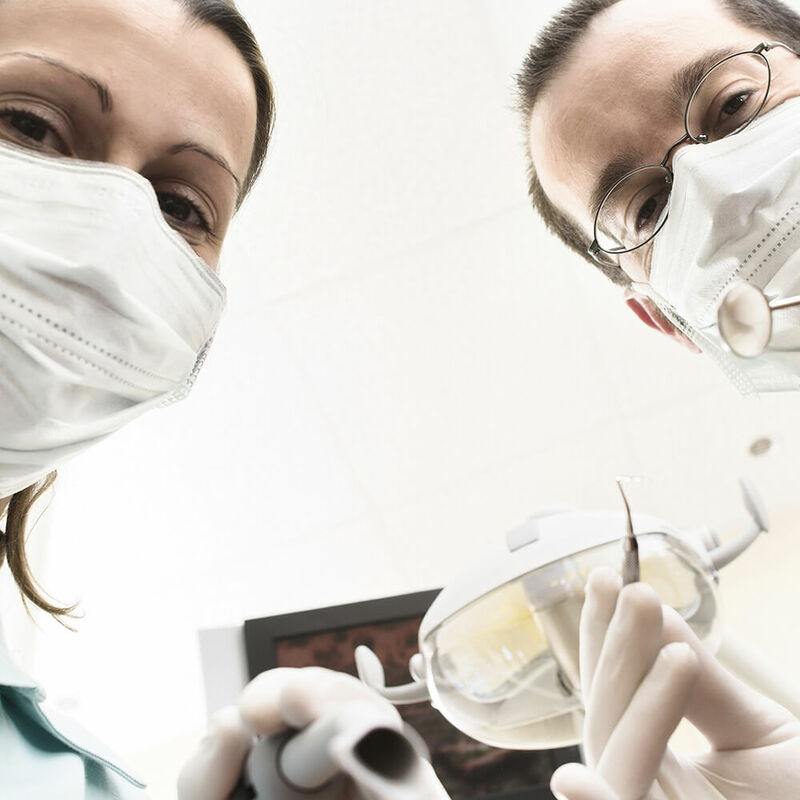 The dental department has an extensive exposure control/infectious disease policy, which is available upon request. The Office of Records and Registration will accept applications for the Dental Hygiene Program ONLY between September 1 and February 1. All prerequisite courses and documentation must be completed prior to March 15. A class is accepted once a year for the fall semester. All students must earn a grade of “C” or better in all DHY courses in order to graduate. Admission to the Dental Hygiene program is very competitive and completion of all prerequisites and core curriculum courses does not guarantee admission to the program. Since there are more applicants than there are positions, admission will be based on the applicant’s documented record. Science courses that were completed five or more years prior to enrollment in the hygiene program will not be accepted for transfer credit. Preference will be given to students who have completed their core curriculum requirements at Camden County College.